The best survival tents and shelters come in a variety of shapes and sizes, but every one is ultimately designed to carry out the same task – to protect you from the elements, keeping you warm, dry and safe outdoors. In this guide, we’ll take a look at some of the best survival tent options, lightweight shelters, and emergency tents to get you through the most adverse of situations. • 4 lb. 10 oz. • 7 lb. 7 oz. • 7 lb. 5 oz. • 6 lb. 11 oz. • 4 lb. 13 oz. • 6 lb. 2 oz. Finding the best survival tent for your needs involves covering a lot of bases to ensure the shelter you choose meets and exceeds your specific requirements when it’s eventually pitched and in the field. Being able to call on a survival tent removes the need to find shelter or build cover from scratch. What this means in practice, is that if you’re outdoors and need to get yourself out of the elements quickly and safely, you can rely on being able to do so when carrying a high quality survival tent in your kit. The best survival tents are designed to achieve a variety of different objectives, from being lightweight and easy to pack through to withstanding extreme weather conditions and potentially rigorous and continual use. While the ultimate goal of a survival tent or high performance shelter is to hold up to serious conditions and keep you safe and dry during any and every scenario, depending on your budget, you’ll want a tent that is also sympathetic to your individual preferences and specific needs such as budget considerations, internal space, and any additional features. Whether you’re looking for the best tent that’s compact enough to pack in a bug out bag, or a dedicated cold weather tent built for standing up to four season use, there’s a high performance shelter out there designed to do just the job. 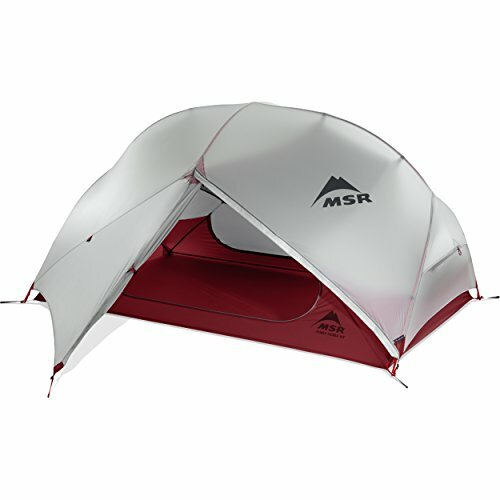 The 3-person variant of the excellent Elixir backpacking tent by MSR delivers that sought after balance between ample interior space, high performance, and an incredibly lightweight footprint when packed. 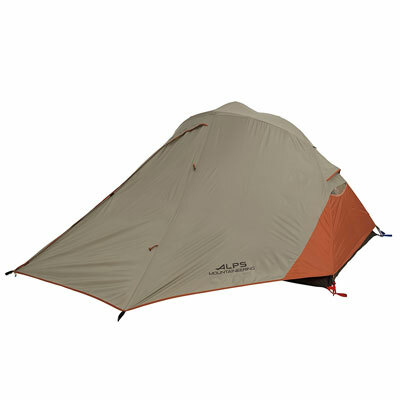 It’s a tall order to find a backpacking tent or survival tent at this end of the price spectrum that not only offers a focus on livability features (high ceilings, ease of assembly etc), but that’s also as lightweight or lighter than many other survival tents in this class. Two modes of setup, including the standard configuration and what MSR calls ‘Fast and Light’ (just utilizing the footprint) mean that you can trim down the carrying weight and setup time of the Elixir even further if space and time are critical considerations. The MSR Elixir is a high quality survival tent designed to be incredibly simple to setup when you’re out in the field, using color-coded poles, clips, and webbing for fitting everything together quickly and easily. 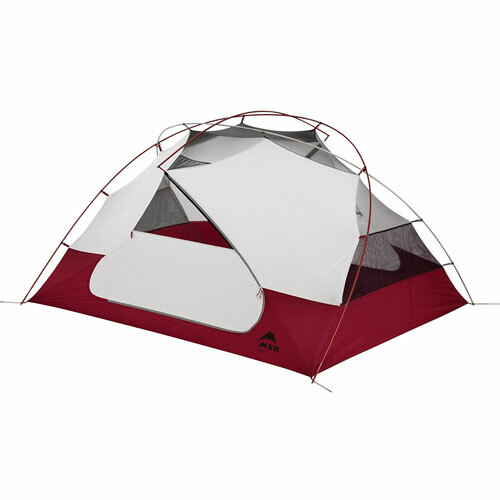 Two large doors and two large vestibules make entry and exit of this lightweight tent incredibly easy and allow for additional storage space of bags and any extra gear you don’t want to take into the main body of the tent. Construction of the tent coverings comes in the form of durable nylon and polyester materials combined with waterproof coatings to ensure you’re kept dry and comfortable at all times. On top of this, MSR have incorporated what they call ‘Stay Dry’ entrance ways which utilize in-built rain gutters divert water away and allow you to get you into the dry as soon as possible. In terms of capacity and dimensions, the 3-person version of the Elixir comes in at 68″W x 84″L x 41″H of living compartment space (with 30″ x 84″ of additional vestibule space on each side of the tent) and while rated to sleep 3, gives a very comfortable level of interior space for 2 people once you take into account the included storage space. The amazing amount of livable space in the Elixir tent is down to the symmetrical pole geometry which maximizes head and shoulder room throughout the tent meaning you can actually move around without crawling. The outer rainfly of the tent features kick-stand vents which promote ventilation and airflow within the tent while still maintaining protection from the elements. In warmer climates or when you have a need for increased visibility, the adaptable rainfly is designed to easily pull back. 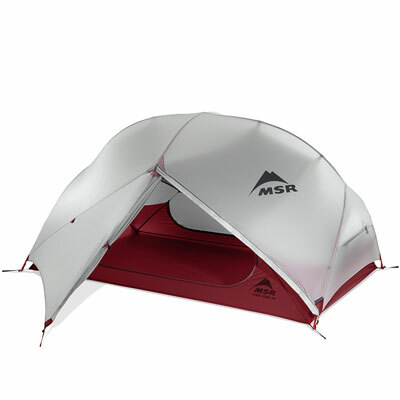 The MSR Elixir also comes with a dedicated footprint which sits beneath the structure itself to protect the tent from the ground where you’ve decided to make camp. If you’re looking to increase or decrease the capacity of your survival tent to cater for a larger or smaller group, the Elixir is also available in a 2-person and 4-person variation, both of which are equally well specified with both also proving exceptionally popular with users. When it’s time to break camp and you need to hit the road again, the Elixir quickly packs up into it’s storage sack for easy packing into your backpack or bag – a welcome addition to a survival tent that you intend to pair with a bug out bag. Max/Min Weight: 4 lb. 10 oz. / 3 lb. 9 oz. 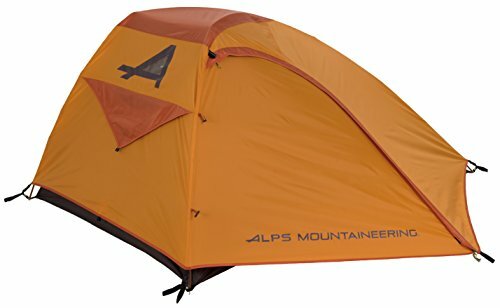 ALPS Mountaineering have established a reputation as one of the best compact survival tent makers in recent years and the Extreme Tent Series is testament to this. A key factor to consider with any survival tent is whether it’s able to hit that key sweet-spot of achieving capacity and durability without sacrificing these gains with increased carrying weight and packing size. 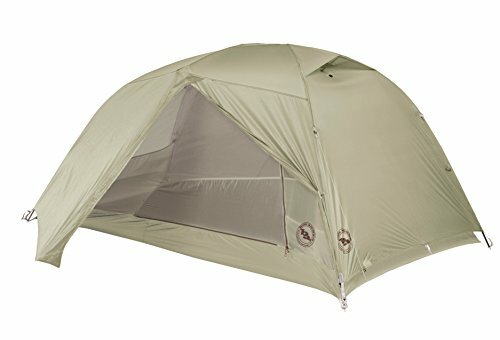 Delivering a spacious and high performance 2-person survival tent that packs down to under 10 lbs is an ambitious undertaking and with this in mind, this shelter is an excellent survival tent if you’re looking for a solution which comfortably sleeps 2 (with additional gear) in a variety of challenging situations. The Extreme 2 Person Tent has been designed with ease of assembly in mind and utilizes a three-pole 7000 series aluminum design for strength, weight, and ease of setup. 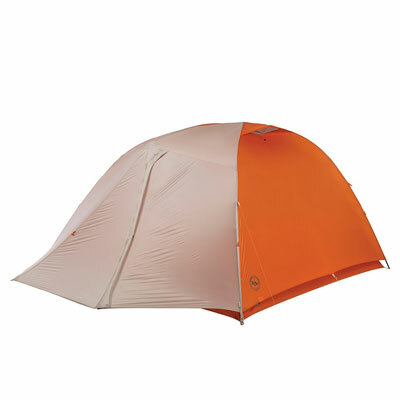 In terms of durability, the polyester fly of this tent is both UV and water resistant making it well suited to a variety of climates and situations. What this looks like in practical terms is a 75D 185T Polyester Fly with 1500 mm waterproof coating combined with a 75D 185T Poly Taffeta floor with 3000 mm coating for keeping you dry and the elements out. Storage space within the Extreme is further aided by the inclusion of two vestibules at the entry points to the tent for bags and equipment (36 sq ft total), as well as mesh pockets and a gear loft for those items you want to keep on hand at all times. Packing down to a 6″ x 20″ footprint and weighing in at a manageable 7 lbs 7 oz, the Extreme 2 Person Tent is a good option if you’re looking for a 2 person survival tent that will fit comfortably into a large rucksack or bug out backpack for carrying on foot. 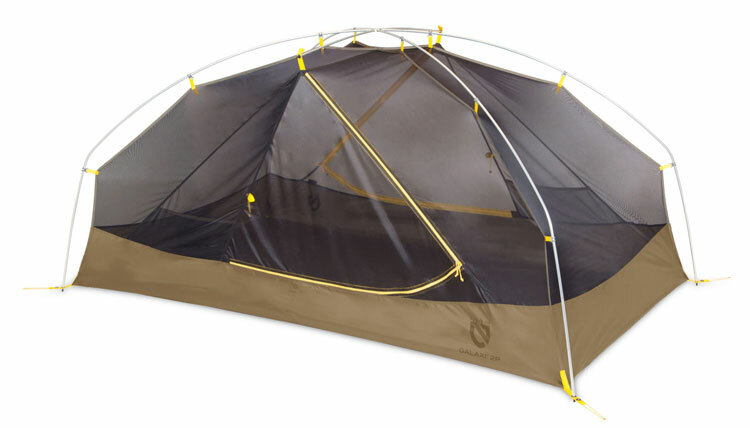 If you need a tent for 3 people, are planning to bug out by vehicle, or simply want extra room for 2, then the Extreme 3 – the larger sibling in the range – is an awesome upgrade and provides a 50″ center height as well as additional interior space, representing one of the best survival tent choices in its class. Max/Min Weight: 7 lb. 7 oz. / 6 lb. 10 oz. Hilleberg are known as one of the best makers of high performance mountaineering tents and survival tents in the world and their Jannu 2 person tent shows you exactly why this is. With an almost unbelievably light packed weight and multi season durability, it’s little surprise that the Jannu is one of the very best survival tents money can buy. 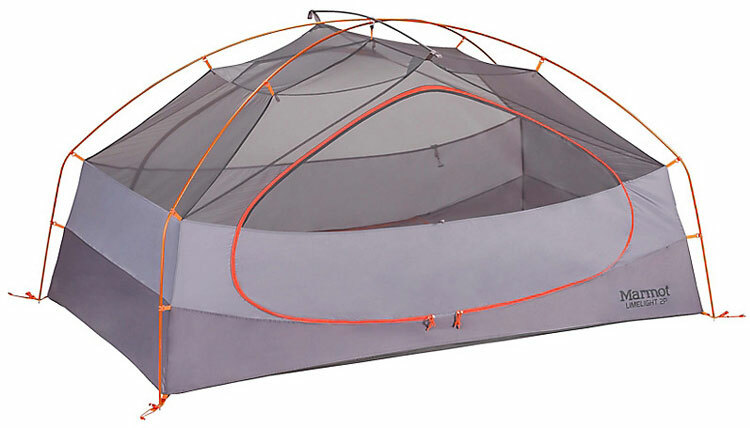 Popular with hunters, high altitude trekkers, and winter campers alike, the Jannu was initially designed as a mountaineering and alpine climbing tent – a point clearly reflected in every element of this survival tent’s construction from the poles and outer fabric right down to the interior storage space and lightweight footprint when packed up. The first thing to talk about with the Jannu is that it’s exceptionally lightweight for an all-season mountaineering tent. Offering a regular packed weight of a mere 3.1kg (around 6.8 lbs), the Jannu can slim down even further to a minimal weight (just the poles and outer/inner tent) of an incredible 2.8 kg – 6.17 lbs. What makes the low weight profile even more amazing is the fact that far from sacrificing performance for this trade-off, the Jannu is actually designed to survive the harshest of environments and for use in every season making it one of the very best survival tents on the market today. A dome construction paired with 9mm poles and multiple pole crossing points form the core strength of this tent and are specifically designed to provide excellent snow-load handling. Similarly, when the main body of the tent is pitched using the pole system, the only part of the structure that actually need to be pegged is the vestibule. Unlike some of the other best survival tents out there, the Jannu utilizes a linked but separable system of inner and outer tent which mean you can get your shelter up very quickly if conditions require it. Storage space in the Jannu is comprised of a main inner tent area and a vestibule/entry way area. Within the main inner tent area, you’re looking at around 92″ x 55″ of space with a headroom of 33″. The vestibule and entry way adds another 41″ x 51″ of space for storing extra gear and bags. Max/Min Weight: 7 lb. 05 oz. / 6 lb. 17 oz. 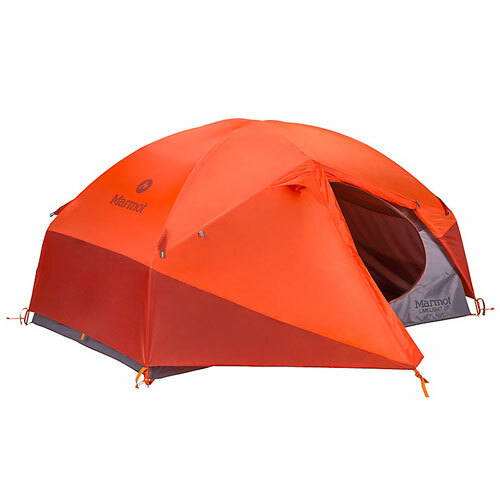 This 2 person survival tent from Marmot is designed to keep two people dry and sheltered from the elements with vestibule space for bag storage as well as a good level of roominess inside the tent itself. 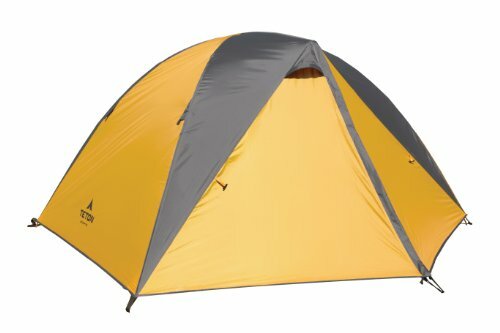 The Limelight is as the name suggests, an extremely lightweight survival tent and weighs in at considerably under 6 lbs making it a strong candidate as one of the best lightweight survival tents for pairing up with a backpack as part of a bug out bag strategy or for carrying on foot as a low weight expedition tent. Combine the weight and space benefits of the Limelight with the additional features such as a generous storage provision and the inclusion of a footprint and you soon end up with one of the best survival tent choices for use in a range of temperate climate conditions. The canopy of the Limelight is constructed from 40d Polyester while both the floor and fly fabric are formed from 68d Polyester Taffeta with 2000 and 1500mm of coating protection respectively. 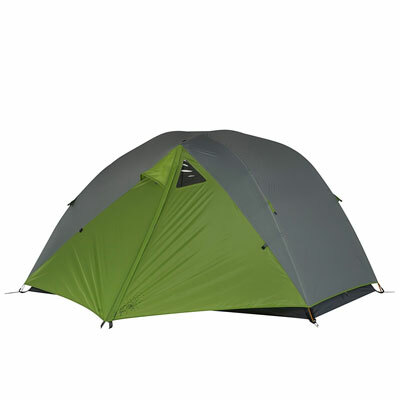 The Limelight is a classic 2 person dome tent with a crossover pole construction. Structural integrity for the shelter comes in the form of DAC Press-Fit poles with seam taped coverage across the flysheet and floor as well as a footprint which is included with the tent and adds an extra layer of durability to the floor when pitching. Storage inside this survival tent takes the form of two vestibules for backpack, footwear, and equipment storage, while a variety of interior pockets make storing small ‘at-hand’ gear a breeze. On top of this the tent features a lamp shade pocket which allows you to rig up a headlamp for interior lighting. When packed up, the 2 Person variant of the Marmot Limelight compact down to about 18″ x 7″ (45.7 x 17.8 cm) and weighs a mere 5lbs 10oz at the max load-out. If you pack the no-frills essentials of the tent, you can look to lose around another 8oz with this configuration only costing you around 5lbs 2oz of total carry weight. 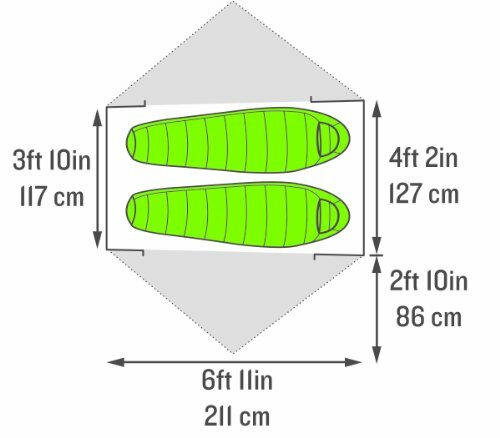 A larger variant of this tent is available in the form of the Limelight 3P and adds the additional storage and sleeping space in exchange of about an extra 1 lb of weight. If you’re looking for one of the best survival tent options for a larger group, then this is a great choice. Max/Min Weight: 6 lb. 11 oz. / 6 lb. 0.5 oz. The Kelty TN2 is a 3 season backpacking and survival tent that is both compact and light when packed and includes a lot of additional features that make carrying even simpler. A high degree of weather resistance, superior ventilation and visibility options, and the ability to pull it all off without sacrificing on weight are the key selling points of the Kelty TN2 and put it solidly in our list of best survival tents for the money. If you’re looking for a multi-season survival tent that packs down small and light yet still offers many of the same features and durability as some of the big boys, then the TN2 is a solid contender in its price category. Among the features that make the TN2 stand out as one of the best survival tents on the market are the areas in which it looks to make packing and carrying super straight-forward. The 14-inch aluminum poles included with the TN2 are shorter than other comparable survival tents and make packing easier, which when combined with a max packed weight of just under 5 lbs, mean that the tent remains as light as possible. The TN2 is rated as a 3 season tent and as such, the outer flysheet itself is constructed from 40D Sil Nylon with 1800 mm of coating to keep you and your gear dry whatever the weather. 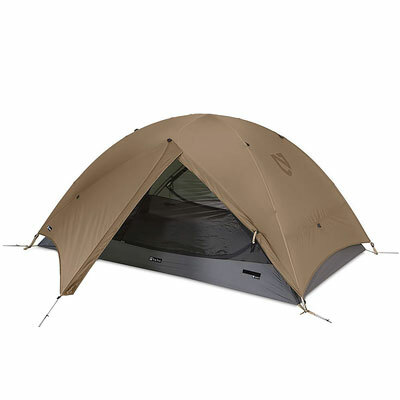 Underneath the tent, you’re looking at a floor construction of even more durable 70D Nylon with a 3000 mm coating. 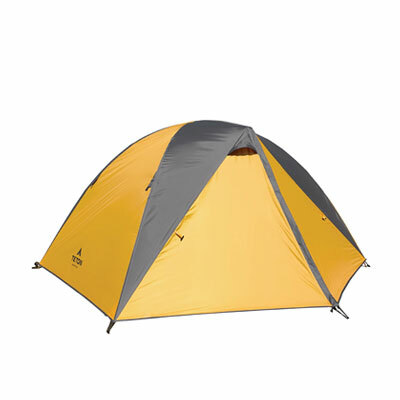 In terms of usable interior space, the Kelty TN2 offers 27.5 sq ft of floor space and 2 vestibule areas with 10 sq ft. This vestibule entryway utilizes a d-style door to improve access and makes entering and exiting a painless affair – a big deal when exterior conditions are less than perfect. 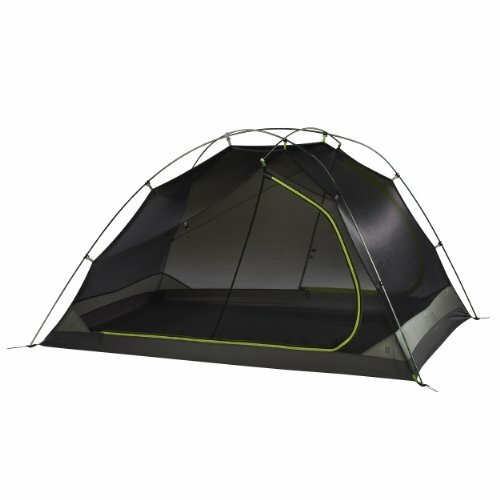 Additional features on this tent vary between nice to have elements and those which make a considerable difference to the overall performance of the TN2 including fly vents for optimal ventilation, welded clear windows, noiseless zipper pulls and internal storage pockets for keeping essential equipment close by. Max/Min Weight: 4 lb. 13 oz. / 4 lb. 4 oz. 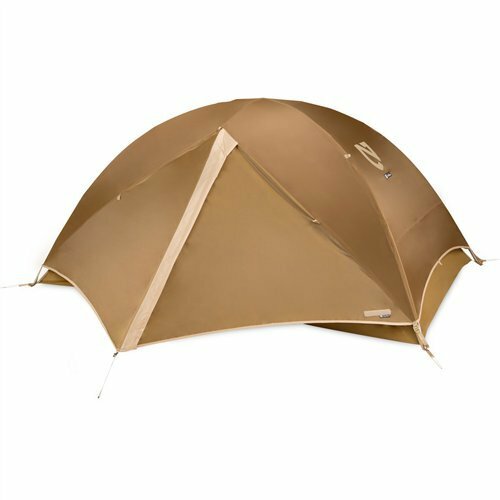 One of the top survival tents in its class, the Copper Spur HV UL borrows heavily from the highly successful range of the same name by Big Agnes. 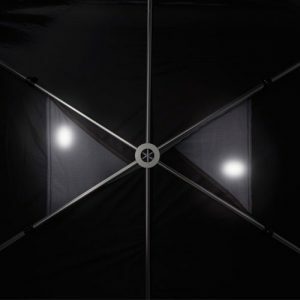 The HV UL is designed with a 4-way high volume hub design which both increases the overall strength of the tent, while increasing the interior volume without adding excess weight in the process. 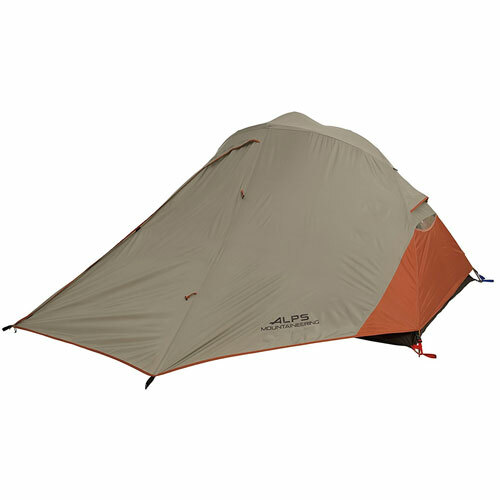 Big Agnes have made a name for themselves for their back-country tents and the Copper Spur HV UL contains all of the features and performance stats you’d expect from a 3 season survival tent by the brand. The Copper Spur HV UL features a proprietary double rip-stop nylon construction which makes it both strong and durable with both the fly and floor utilizing a random pattern to increase fabric tear strength by up to 25%. When it comes to sleeping room and interior space, you’re looking at a footprint of around 88″L x 52″W (narrowing to 42″W at one end) with headroom at the highest point of the interior space reaching about 40″. Secondary storage within the Copper Spur includes a combination of media pockets as well as a large ceiling pocket and loops to fit a gear loft if required. The Copper Spur HV UL is available in 1-4 person models with the weight range from smallest model to largest coming in at 2lbs 5oz through to 5lbs 1 oz. 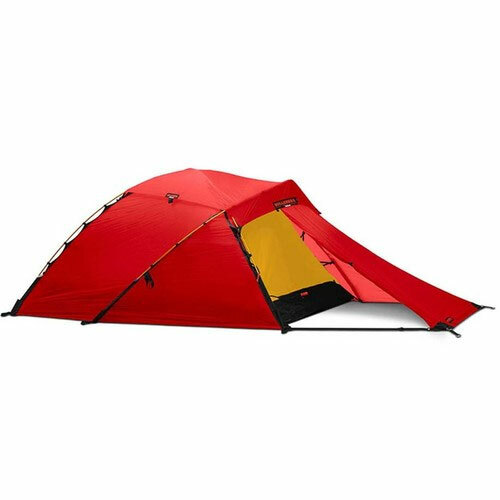 The Hubba Hubba NX is an ultra-lightweight 2 person backpacking tent from MSR that delivers everything required from a 2 person survival tent while also including a lot of additional features that make it comfortable as well as practical. With a fast and light packing option that allows the tent to be brought down to just over 2 lbs in weight, the Hubba Hubba is one of the lightest survival tents in our list and is perfect if you’re looking to find one of the best lightweight survival tents for two people that works well alongside either a bug out backpack arrangement or loaded into a vehicle. What really makes the Hubba Hubba NX stand out above other lightweight survival tents on the market though is the livability offered by this portable shelter with significant interior space, storage areas, and ease of assembly/packing. Ventilation is provided around the tent with mesh and kickstand rainfly vents to increase airflow and reduce condensation throughout the interior. A unified hub system which utilizes DAC featherlight poles makes assembly of the Hubba Hubba NX incredibly straight forward. On top of this, pitching is simplified even further with color coded clips to make setup a breeze. The outer construction of the MSR combines 20 and 30 denier high tenacity ripstop nylon (both treated with the brand’s waterproof ‘Durashield’ coating) to ensure you and your gear are kept dry whatever the conditions outside. 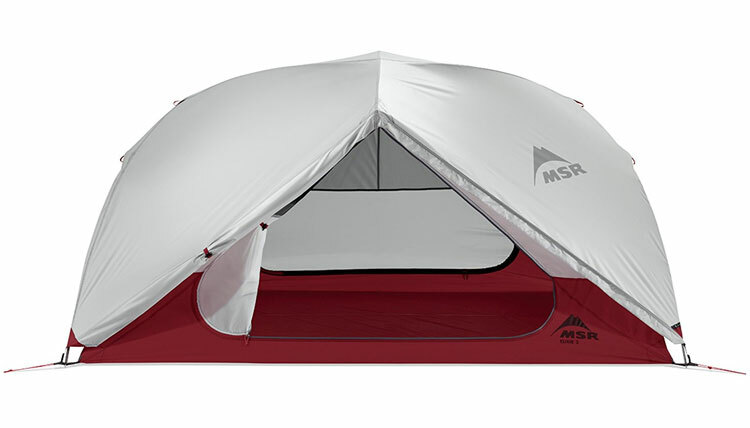 Two entryway vestibules form the storage area for larger gear while inclusion of two stay-dry entrance flaps with built-in rain gutters also look to keep you as comfortable as possible when entering or exiting the tent in adverse weather. The combination of performance in the field alongside value for money and practical considerations around assembly and packing are hallmarks of MSR’s tents and the Hubba Hubba NX is undoubtedly one of the best in class tents out there when it comes to achieving the combination of these elements. The packing and carrying design considerations of this tent are great examples of this principle in action. When you need to break camp and get moving again quickly, the ability to both disassemble and pack up a survival tent effortlessly is crucial. 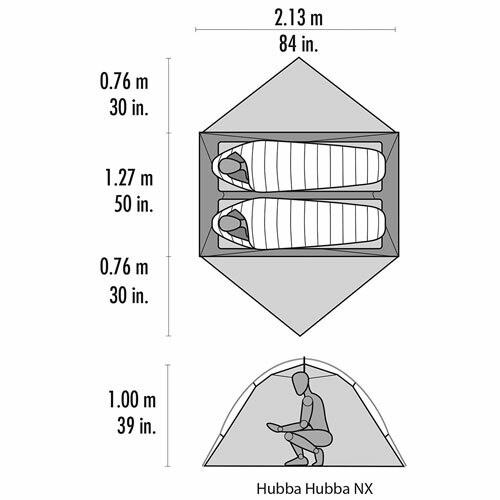 With this is mind, one of our absolute favorite features of the Hubba Hubba NX is the packing system which uses a wide-mouth stuff sack alongside compression straps to bring the packed footprint of this survival tent down to an amazing 18″ x 6″ in rapid time. What this means in practice of course, is that not only is the MSR easy to break down when you need to leave in hurry, but it’s also ideally suited as the shelter element of a comprehensive bug out backpack or vehicle loadout where breakdown speed, packed weight, and physical packing footprint are crucial considerations to ensuring minimal headaches. A good choice for users of all experience levels, the NEMO Galaxi uses pre-bent poles to make assembly easy while providing an excellent degree of shelter in adverse conditions. The ability to provide 3 season coverage while also combining a spacious interior, simple assembly procedure, and a lightweight design while still remaining durable are admirable characteristics to look for in the best survival tents and the NEMO Galaxi ticks every box. The Galaxi is a backpacking tent that’s well suited to use as a survival tent either on foot or as part of your packing inventory in a vehicle. Internal volume and livable space are maximized through the use of unique ‘pre-bent’ poles and a smart pole structure. This one-piece hubbed pole set also makes pitching incredibly straight forward with the inner tent simply clipping to the poles once they’re socketed in their respective grommets on the ground. External durability comes in the form of polyester ripstop for the Fly and Floor (68 PeU/1500 mm for the Fly, 75 PeU/3000mm for the floor) alongside a footprint which comes included with the tent and which further protects the base of your shelter when pitching. 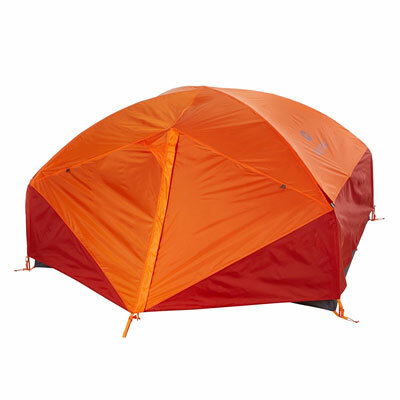 Like some of the other survival tents in our list, the NEMO Galaxi offers a roll-back outer fly for increased visibility and/or ventilation when required. 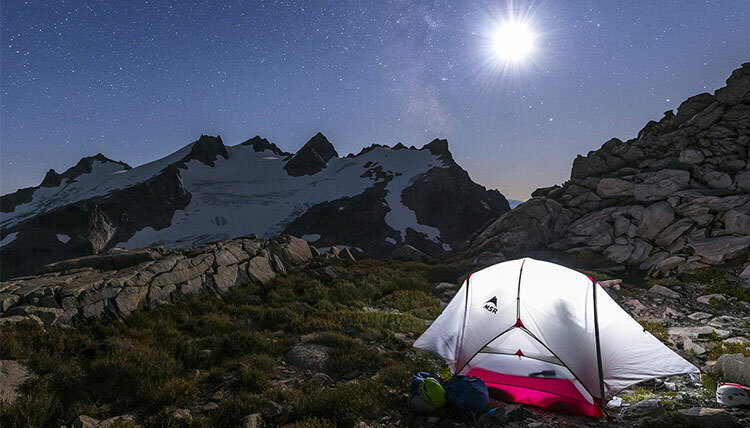 One of the awesome features of the Galaxi is the inclusion of light pockets within the interior of the tent, offering a light diffusing fabric pouch for storing your headlamp and illuminating the main area. A dual vestibule arrangement at the entry point to the Galaxi makes access simple and adds gear storage at at the front of this survival tent. Max/Min Weight: 6 lb. 2 oz. / 5 lb. 1 oz. The Mountain Ultra is a solid choice if you’re working to a strict budget but still require a 3 season expedition tent that will keep you sheltered from the elements and that can be easily packed and carried when done. 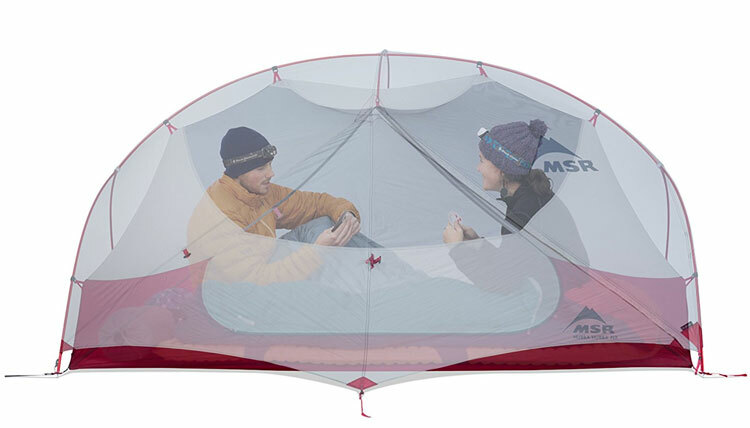 The construction of the Mountain Ultra consists of a micro-mesh inner tent over the top of which the 66D 3mm Ripstop 3000mm PU outer rain fly is applied. Packed carrying weight for the Mountain Ultra comes in between 3-8 lbs depending on the configuration you go for (trail weight being the lightest) and gives a good degree of flexibility dependent on your specific requirements and packing considerations. A bathtub floor design presenr ub this tent is complimented by the inclusion of a footprint which lays underneath the floor and adds further protection from rough terrain as well as mud. The Mountain Ultra does a good job of balancing ventilation with water resistance and includes a limited lifetime warranty for added peace of mind. If you’re looking for the best survival tent within a lower price bracket, check out the Mountain Ultra as a solid choice in this category. 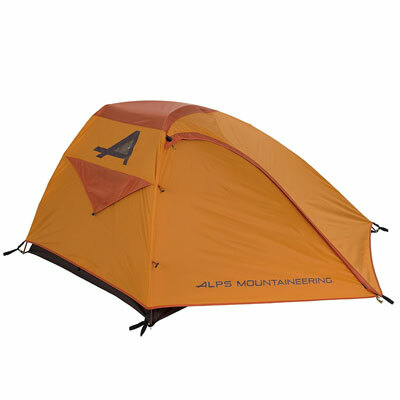 The Zephyr is the second survival tent from ALPS Mountaineering to make it into our guide and provides a solid and dependable 3 person portable shelter which blends interior space with weatherproof protection and a lightweight, compact form factor for packing away and carrying. There’s always a trade-off to be made when you start looking at higher capacity survival tents but the Zephyr does a good job of maintaining the balance between additional space without the usual sacrifice on weight and packing space. 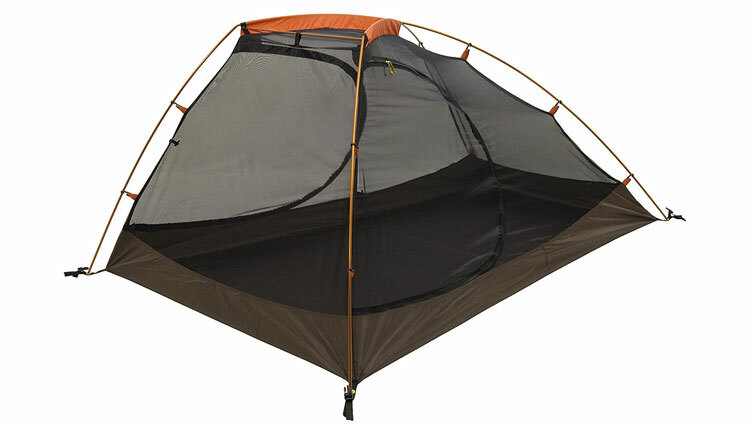 A focus on airflow and ventilation, as well as a unique dual-entryway configuration, are among the unique features that make the Zephyr one of the best 3 person survival tents for the money. A 3 person capacity combined with a range of internal storage features put this survival tent high on the list if you’re looking for a survival tent solution that puts internal livable and storage space high on the list of priorities. 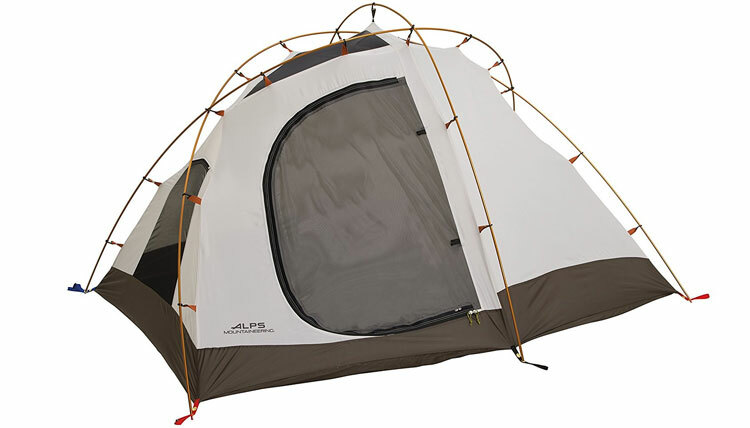 One of the unique features of the Zephyr over other tents in this category is the inclusion of a dual door and vestibule system which effectively gives you access to the tent on both the left and right sides making it considerably easier to get in and out with multiple occupants. Weatherproofing on the tent is provided in the form of factory sealed seams and a 75D 185T Polyester Fly with 1500mm of water repellent coating. Mesh walls are representative of the ventilation features of this tent – a focal point of the Zephyr – and make it an excellent choice as a survival or trail tent for use in humid and warmer climate zones. Max/Min Weight: 6 lb. 2 oz. / 5 lb. 5 oz. If you’ve ever been camping in a tent before, you may already be pretty well versed in the ins and outs of these portable shelters as well as the kinds of factors that need to be considered when choosing, pitching, and staying in a tent. Even so, whether you’re an experienced user or totally new to the scene, it’s still worth getting a handle on some of the main points of reference when looking at survival tents. In this part of our definitive guide to the best survival tents, we’ve taken a look at the essential considerations to keep in mind when choosing the best outdoor shelter for your needs. Whether you’re looking for a bug out tent, a survival tent for weekend hiking and wilderness trips, or a high performance shelter durable and versatile enough to handle it all, the following points will ensure you get the best tent for the job. Probably the most important consideration when starting out on the path to choosing the best survival tent is to identify, how and where you intend to use it. Start by assessing the purpose you’re buying it for and the considerations which are specific to your situation such as the number of people who’ll be using it, as well as your local climate and geography. All of these factors ultimately play a critical role in establishing the right tent for your circumstances and will make it easier to find the perfect fit first time. When it comes to picking a survival tent, size and weight always matter. As with other activities such as choosing the best bug out backpack for your needs, there’s often a trade-off to be made between the size and weight of the shelter you choose and the specifications it’s going to offer. If you’re planning to bring a survival tent with you when evacuating a disaster or emergency situation, you’re almost certainly going to want to be aiming for a lightweight and easy to pack tent (especially if you’re intending to bug out on foot). Survival tents generally range in size from a couple of pounds to those coming in over ten, with many of the best survival tents and high performance shelters sitting squarely in the middle of this range. In this ‘sweet spot’ you’re going to find the best combination of features and functionality to weight and packed size and if you’re going for the best survival tent that ticks as many of the boxes as possible, you’ll want to keep this ratio balanced whenever you’re able to. Whether it’s the weight of the tent when packed in your bag or the eventual size when pitched and feature set, you’re almost always going to lose out in some way in the trade-off mentioned above somewhere along the way so it’s good to have an idea ahead of time about the elements that matter most for your specific needs. With that being said. as you’ve probably already guessed, the optimal combination is to find a survival tent that gives maximum bang for your buck while offering the smallest (and lightest) footprint when packed. The size of your group will determine any requirements around how many people your survival shelter needs to cater for and accommodate. From one-man tents to family shelters suitable for sleeping four or more people, survival tents vary in size and you can be sure you’ll find one that fits the bill. If you’re considering a survival tent with a higher occupant capacity, the bigger question in this regard will almost always come back to the size and weight issue again as well as any obvious budget considerations. Carrying a larger survival tent in a vehicle is one way around the physics issues and will make any problems around weight redundant, but if you’re planning to carry a higher capacity shelter on your back, you’ll probably have to make some alterations to your load-out. One option if you’re travelling on foot may be to carry the tent yourself, replacing items in your bag and delegating the carrying responsibility to other members of your party to free up the space and weight required to carry the shelter. Similarly, breaking the components of a survival tent down among a couple of members of the party (such as flysheet, poles etc) can get around the weight and packing space issues but you then run the risk of being without a shelter should your group get separated. 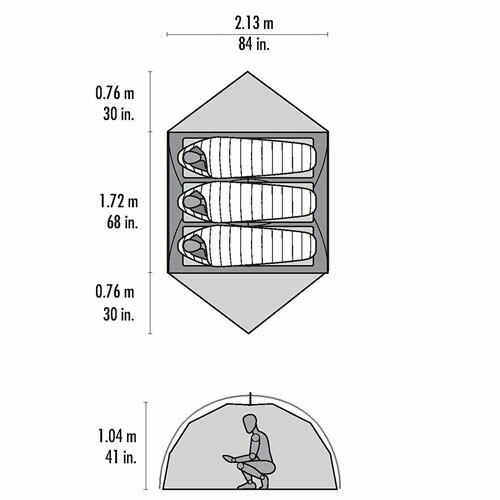 Similar in some ways to capacity, the amount of internal storage space inside a survival tent is an important thing to be thinking about when choosing a suitable shelter and can basically be broken down into a couple of main areas. 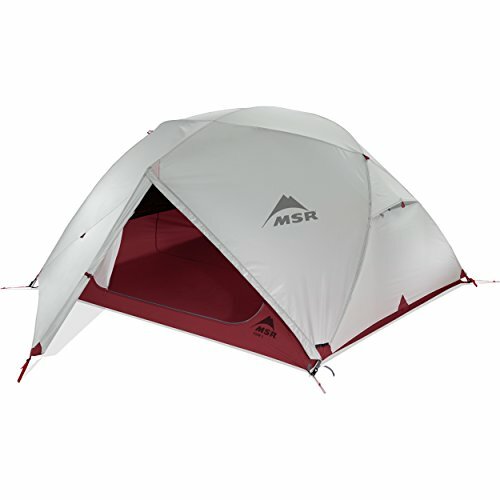 Almost without exception (and without exception in this guide), the best survival tents will include some form of entryway which incorporates one or two vestibules for providing a dedicated and sheltered storage area for footwear, larger gear and backpacks immediately outside (but ultimately separated from) the main space of the tent. Vestibule storage is an important addition to any survival tent if you’re looking for a solution to increase the overall footprint of the tent in terms of storage in a way that clearly divides larger equipment and muddy footwear from the living space of your tent. When it comes to looking at the best vestibule arrangement on a survival tent, you’ll be influenced to an extent by the climate where you’ll be using the tent as some offer dedicated exterior rainwater channels on the outside of the vestibule – an essential in wet environments. Pockets within the best survival tents are usually spread throughout the interior of the shelter with the majority often located within the main living space for keeping essential ‘close at hand’ items near where you’ll be sleeping. Most tent pockets are usually formed from either the same fabric as the inner tent, nylon, or some form of meshed fabric and can vary in size from flashlight sized storage spaces through to large ‘document’ pockets for holding larger items. Some expedition and survival tents also include specialized pockets such as the NEMO Galaxi which features a ‘Light Pocket’ with a permeable fabric for illuminating the area inside the tent either from a flashlight or headlamp. Similarly, many of the best survival and expedition tents will often feature one or more internal clips or latching points which can be used to secure items, pouches, or smaller pieces of equipment such as a tactical flashlight and are a good way to maximize the utility inside your shelter. The ability to pitch your tent quickly and easily should be a priority factor if you’re looking for the best tent for use in a survival situation or in any kind of adverse conditions. Think of it this way, if you’re exhausted already, it’s getting dark and starting to rain, do you want a survival tent that can be assembled by one person in under 5 minutes or one that requires 3 people to put together and takes half an hour to get ready? The fact of the matter is that in a survival or outdoor situation, time always matters and minutes can make all of the difference to overall prospects and reducing exposure risk. With this in mind, you ideally want to find a survival tent that utilizes as few components or ‘moving parts’ as possible and that can be pitched in no more than 10-15 steps. The best survival tent manufacturers know that ease of pitching is a primary consideration when it comes to what makes an effective tent, so you’ll find that many of these factors are built into the design elements of the top tents on the market – all the same, be on the lookout for things that will make assembly (and disassembly of your shelter easier or more difficult when the time comes). As mentioned earlier, if you’re looking for the best survival tent to include as part of a bug out bag, your considerations are likely to be around the carrying weight as well as the ability of the shelter to unpack and be easily assembled. The chances are, that if you’re bugging out on foot with 72 hours worth of equipment in your bag, capacity and the ability to carry extra weight will be at a premium. This is a major factor when picking a survival shelter for a backpack and should never be overlooked. Knowing the essential elements that make up a bug out bag, alongside your own personal requirements and physical considerations will put you in the best position when it comes to determining the weight you can afford to carry in the form of a tent or shelter. Alternatively, if you’re intending to bug out by vehicle, considerations around size and weight when packed may be reduced, with a greater emphasis on finding a survival shelter that offers a greater degree of overall protection in exchange for the extra weight limitations. The main role of a survival tent is at the core, the same as any other tent – to provide a portable source of shelter and protection when you need to bed down outdoors. With this objective in mind, the best survival tents are designed to cope with a wide range of climate conditions from arid desert settings (where ventilation is key) to specialized winter tents built to cope with heavy snow and low temperatures. Many of the best survival shelters and survival tent choices will function equally well whatever the weather, however you can expect to pay a premium in either (and sometimes both) price and weight. With that being said, if your budget can stretch to a comprehensive tent that performs in all conditions, you can be assured that you’ll be totally covered for every eventuality. Most of the best survival tents will be rated anywhere between 3 and 4 seasons and as you can probably tell, this indicator gives you a pretty good idea of how well the shelter will hold up in different climates. If you’re likely to be making camp in period of severe winter conditions, consider investing in a high performance cold weather tent to keep you warm and safe in extreme weather and low temperature situations. Four season tents (also known as ‘all season’ tents) are built to withstand the more extreme weather conditions associated with winter such as stronger winds and heavy snowfall that three season tents are not as readily equipped to deal with. 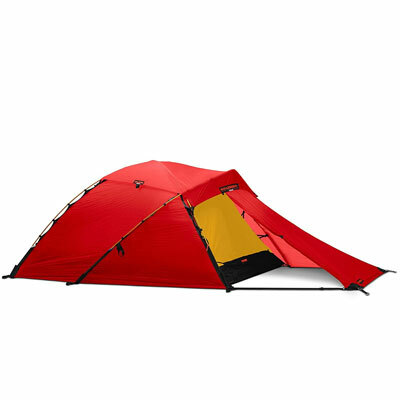 These kinds of expedition tents are extremely durable, water resistant, and lightweight and as such, are often favored by mountaineers and for use in extreme conditions. With a 4 season survival tent, you’re really looking at the ability of the structure to survive much heavier gusts of wind, heavy downpours, and to offer a significantly improved snow loading ability. Conversely, the best 3 and 4 season tents will usually also provide some kind of ability to adapt or roll-back the outer flysheet in order to improve visibility and airflow in warmer months. Even if you go for an all season tent though, it’s important to remember that any additional insulating capabilities of this kind of shelter are likely to be basically negligible, so don’t fall into the trap of thinking that a 4 season tent will keep you significantly warmer than a 3 season tent, it’s simply going to stand up to the conditions of heavier rain, wind, and potentially snow better than fairer weather alternatives. Look to increase warmth inside your survival shelter with winter rated sleeping bags and ground insulation mats if you’re likely to be utilizing your survival tent in winter conditions. As with all survival equipment, taking care of your survival tent will ensure it takes care of you when you need it most. The good news, is that unlike your permanent dwelling, your outdoor shelter requires considerably less effort to keep things running smoothly and in good working order. Take care of the moving parts – Anything that moves or is interacted with on a regular basis should be to be handled gently to prolong the life and effectiveness. This means zippers, poles, grab handles, and velcro attachments. If a zipper gets stuck, resorting to brute force over the slow and steady approach is not a good plan when it comes to caring for your shelter in the long term. Keep the tent cleaned on a regular basis – Cleaning the flysheet and main tent from time to time will not only ensure that your tent stays as good as new but will also allow you to regularly check it over for damage or wear that may otherwise go unnoticed. As with all things in preparedness, prevention is always better than cure and a clean tent will ultimately be a maintained tent. Always dry your tent – If you follow no other rules when it comes to caring for your survival tent, try and stick to this one wherever possible. Packing up a wet tent is never a good idea and can lead to some pretty challenging issues such as mould and mildew among others. Moisture comes from a lot of places – rain, snow, condensation, and dew – but the upshot is the same. Basically, packing up your tent while it’s still wet should only ever be an option in the most exceptional circumstances. Even if you ever pack your tent up in a less than dry state, look to get it hung up and drying in sunlight as soon as is practical and/or safe to do so. Check out the manual – Your tent will come with an instruction and care manual and is an invaluable source of manufacturer specific information on how to look after your shelter in a variety of conditions. At a minimum, look to run through the manual once even if you don’t get a chance to read it thoroughly. This will give you the best advice for caring for the tent during everyday use in the field as well as any particular things you need to know when it comes to cleaning or repairing. 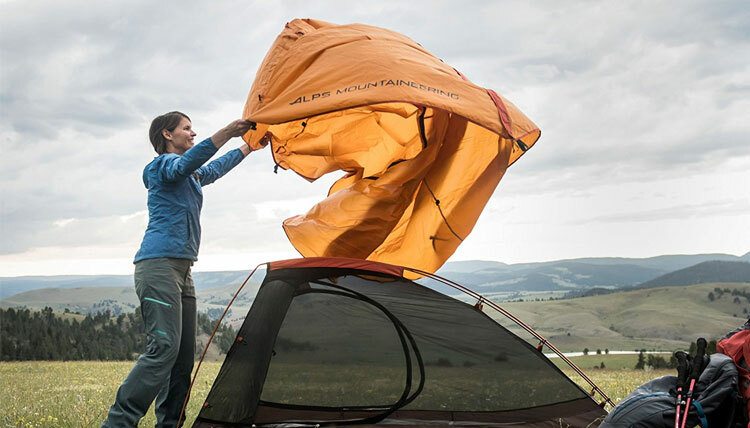 Below we’ve taken a look at some of the best tent care rules to live by when you’re setting your tent up. One of the very best things you can do (maybe even the essential thing to do) before using your survival tent in the wild however, is to practice pitch at home. Not only will this allow you to get an overall feel for how the tent operates and is assembled in a controlled environment, but it will also help you identify potential trouble spots that may occur further down the line. A footprint is a piece of high-durability material or fabric that is cut to exactly the size of your tent’s floor plan. 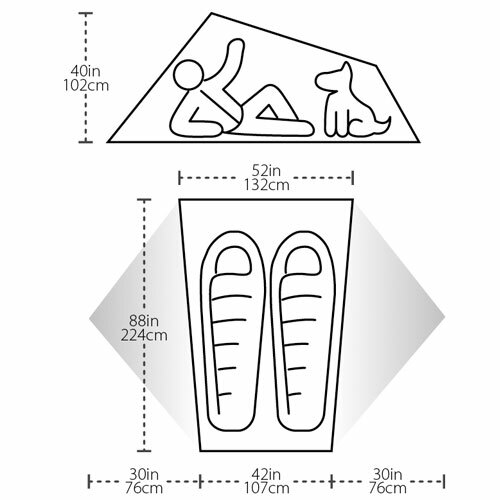 The objective of the footprint is a simple one – to protect the floor and underside of your survival tent, primarily from abrasion and tears (think jagged sticks and stones), but also from mud and other things that would otherwise make packing a clean tent back into your bag a near impossibility in adverse weather conditions. One alternative to a footprint is to purchase a heavy duty tarp of some kind to sit underneath your tent, the issue here however is that you risk it collecting water in heavy rain (as opposed to a footprint which doesn’t extend beyond the florrplan of the tent and so isn’t exposed to collecting rainwater). Almost all survival tents will offer some kind of dedicated footprint option and some will even come with one included for the price (such as the Marmot Limelight and TETON Mountain Ultra mentioned above). Either way, a footprint is a relatively small additional cost even for the top flight survival tents out there and if you can afford the space in your packing list, should be considered perhaps the essential add-on investment when it comes to prolonging the life of your tent and protecting it from the wear, tear, and general rigors of use outdoors. 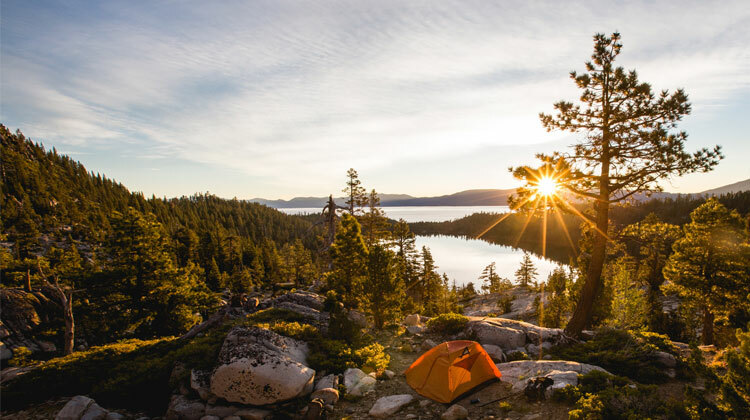 A certain amount of sunlight is actually a good thing when it comes to finding a good pitching spot for your tent, particularly when it comes to ensuring that your tent remains dry when you break camp and pack it up again. However, too much of a good thing can actually have an adverse effect and this holds true in terms of the effect of sunlight on your tent. Specifically, the ultraviolet (UV) rays can degrade the fabric of your tent over time and this can make the material of your tent less resilient following prolonged exposure. Some outer flysheets will be specifically treated to help protect against UV rays and in general, polyester flys will be more resistant than nylon. Regarding sunlight, look to strike a balance when finding the perfect pitching spot and find a place that’s not completely exposed to direct sunlight but that still offers a place to dry any equipment if needed after rain. The enemy of all survival tents is an unprepared pitching spot. Here lie the hidden dangers of tent damaging debris that can quite literally put a hole in your plans for a weatherproof wilderness shelter. When you find a spot for making camp, look to clear away any debris equivalent to the size of your tent’s floorplan to prolong the life of your tent. Find a level spot and brush away any loose vegetation, sticks, rocks, or other potentially fabric damaging debris to maximize the life of your tent. Again, if you can combine your pitching strategy with a dedicated footprint, even better. Once your survival tent is setup there are a couple of incredibly straightforward habits to get into that will both make your stay in the tent as comfortable as possible, while also considerably extending the operational life of your survival shelter. When you’re in your tent, there are a few things that crop up as regular annoyances and probably near the top of the list for many people is the curse of the stuck zipper. The natural reaction to this irritation is often to force the thing free, however this is the path to a whole load of tent nightmares and is not the course of action to take if you’re looking to keep your tent fighting fit. Stuck zippers are usually down to caught fabric. With this in mind, rather than force the stuck zipper, hold the track with one hand and gently coax the the zipper slider back upwards, moving it from side to side until the fabric is freed up. Never underestimate the ability of wild animals to pick up the scent of something good to eat. If you have any highly scented food, be sure to keep it in an airtight container away (ideally outside) your tent to avoid critters attempting to burrow through your tent fabric to get to their next meal. You probably wouldn’t wear mud or dirt covered shoes inside your home so look to maintain this rule with your tent. Most of the best survival tents will include a vestibule area which is the perfect area for storing footwear and larger gear separately from the main living space of the tent. These areas will provide overhanging protection from the elements outside (some will even channel rainwater directly away) and are a good option for storing things which are either covered in mud or are two large to justify storing in the area where you sleep. While uncommon in most survival or expedition tents these days, if your shelter doesn’t incorporate a vestibule space, look to fashion an alternative arrangement that’s conveniently located (and protected from the elements) but remains outside of your tent’s main internal area. When it’s time to move on, follow these steps to ensure your survival tent remains in the same condition when packed up as it was when you unpacked it. (Usually) in this order, you want to make sure that your tent is completely dry and that it is clear of any dirt and debris that it may have accumulated both inside and out during use. Even if you’ve enjoyed incredible weather during use, it’s amazing just how much moisture can accumulate in those hard to reach parts of a tent due to condensation. 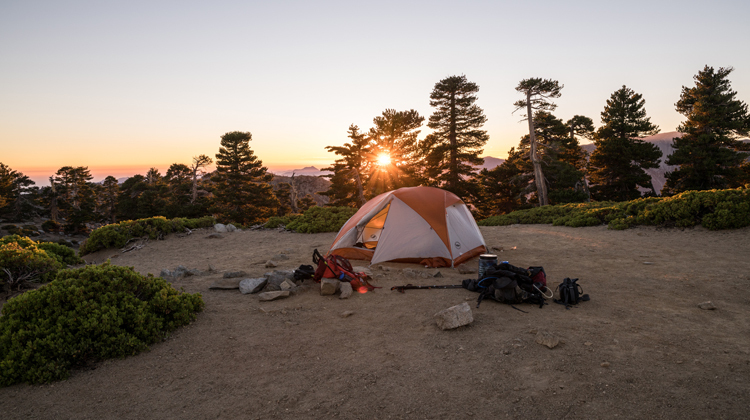 If your tent is freestanding and hasn’t been in rain or snow conditions, you may want to start by tipping out any major debris while the pole structure is still assembled – i.e the tent is still in one ‘piece’. Once you’ve done this (or if the outer fabric is too wet to do this easily), continue to the steps below. You really want to make sure that your tent is as dry as humanly possible before packing it up again to prevent any moisture damage, so look to drape it gently over a suitable (and snag-free) rock or branch that has sunlight and airflow. Once dry, look to remove any remaining debris or dirt from the tent before packing up. When your fabric is dry and debris-free, try to roll up the inner and outer tent fabrics rather than cramming them into the tent bag or stuffsack. 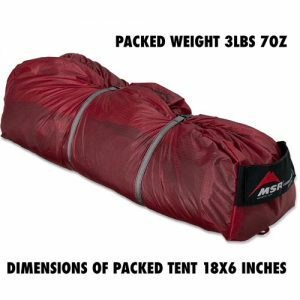 This approach to packing your survival tent is considerably easier on the fabric and any specialized coatings of your tent and will ultimately ensure a longer life for your tent. With all of our rundowns and reviews, we reference as many expert sources, and real world user reviews as possible so we’re able to provide the most relevant and educational information on the ins and outs of the best survival tents. 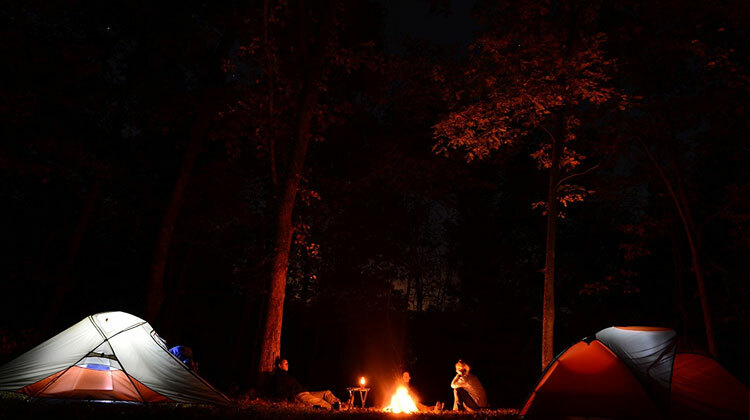 Finding the best survival tent for your specific situation is ultimately a highly personal activity with individual needs and preferences sometimes varying considerably between people, locations, and uses. With these considerations in mind, this guide looks to provide advice on our own opinions of the best survival tents available today, however, it’s always important to carry out your own due diligence to find the best solution for you when picking a suitable survival tent or emergency shelter solution that’s perfect for your situation.